Adair Rentals is located off highway 69 in Adair, Oklahoma. 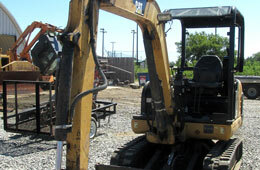 We rent dozers, tractors, skid steers, trackhoes, generators, water pumps and more. Whether you are looking for big or small equipment, Adair Rentals may have what you are looking for. Adair Rentals also works on trailers, supplies trailer tires, storm shelters, hydraulic hoses and tire sealant. Take a look around our website to see what we offer. 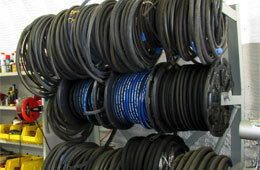 We sell a complete line of hydraulic hoses and couplings. 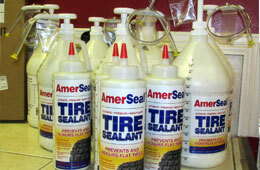 AmerSeal tire sealant. Prevents and repairs flat tires. We provide all kinds of parts for trailers. 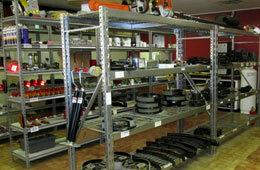 Lights, seals, axels, tires, rims, brakes, filters and more. Adair Rentals also sales & rents Maxey trailers. Rent big equipment such as dozers, tractors, skid steers and more from Adair Rentals. 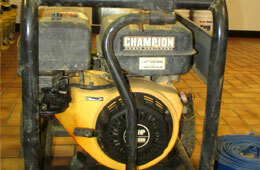 Rent small equipment such as generators, water pumps, septic pumps and more from Adair Rentals. 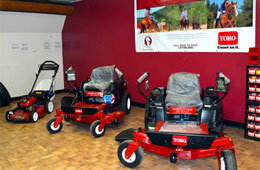 Adair Rentals is an authorized Toro dealer for both sales and service.